Celebrating the newest BP TRLP graduates Grothues, Warner and Ferguson. 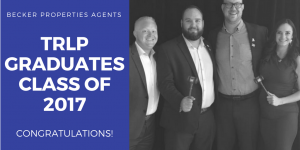 Becker Properties is proud to announce the recent achievements of three of their agents; Amanda Grothues, Brandon Warner, and Shane Ferguson are distinguished as graduates of TRLP, the Texas Realtor Leadership Program. This selective program requires candidates to go through an extensive application process and interview prior to selection. They then complete various leadership modules over the course of 8 months. Some of the modules include exploring diversity, time management skills, spoke-person training, and legislative issues concerning the home buying process. Amanda Grothues, enjoyed the networking aspect of the program and the diversity training from a cultural, generational and societal standpoint. Grothues said that her, “Biggest take away from TRLP is that everyone has the ability to come together and work towards a common goal.” Shane Ferguson was inspired to do more for his community after graduating from TRLP and was encouraged to become more involved in TREPAC, the Texas Real Estate Political Action Committee. TREPAC strives to protect the rights of home owners across the state. 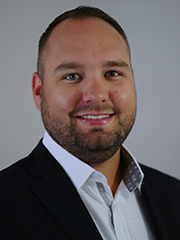 Brandon Warner was compelled to become more active across the board on a local, state and national level. Warner sincerely appreciated the focus on integrity and service and the opportunity to meet other dedicated real estate professionals in the San Antonio area. All in all, Becker Properties is delighted to see more of its agents pursuing leadership positions and designations. We look forward to more of our outstanding agents becoming TRLP graduates in the future. Becker Properties is thrilled to officially announce the most recent achievements of broker/owner Philip Becker. 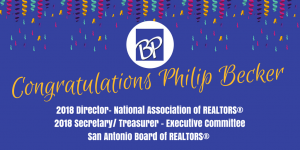 Philip has been selected as a 2018 Director for The National Association of REALTORS® as well as the 2018 Secretary / Treasurer as a part of the Executive Committee for the San Antonio Board of REALTORS®. Both of these positions are high honors and not easily obtained. To even be considered for either position, a potential candidate must first meet the bylaw standards of eligibility for the leadership position in question based on previous participation and leadership roles held. Then, if eligible, a candidate must apply and appear before a nominating committee. If selected by this committee, the candidate is then moved forward to the Board of Directors for ratification. The Secretary / Treasurer position is one of three officers for SABOR. Needless to say, we at Becker Properties are proud of the achievements and dedication of our broker. We collectively feel that these leadership positions and honors are yet another testament to Philip’s wealth of knowledge for the field of real estate and passion for the industry. 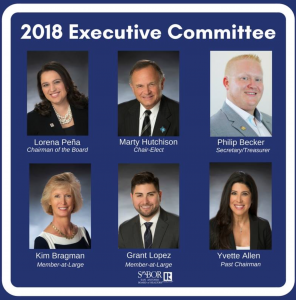 Our REALTORS® are confident they are working for the premier independent brokerage and the premier independent broker: Becker Properties and Philip Becker. Laura was born and raised in San Antonio and has never lived anywhere else. Laura loves her city! She has always resided around the downtown area. Laura is the oldest of 5 children and was relatively quiet and reserved as a student, she attended Fox Tech on Main Street and was also a member of the swim team in high school. Laura is a single mother of five boys, and now a grandmother of seven adorable grand babies. Laura is devoted to her family and has always worked hard to provide for her boys. Laura was first introduced to the field of real estate while she was working for several years as an apartment manager. 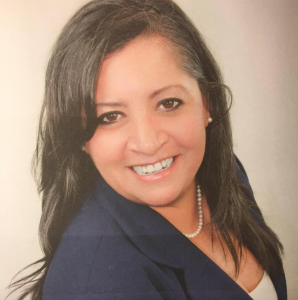 She decided to pursue getting her real estate license and with her background in leasing, began leasing residential and commercial properties as a REALTOR® in 1994. She worked mostly as a transaction coordinator for her first broker but was really a “jill of all trades” and was even nick-named the “slasher” in the office as she juggled her various responsibilities. 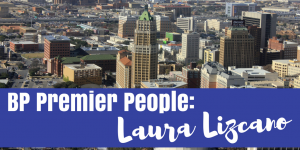 From 1998-2002 Laura served as a member of the San Antonio Zoning Board of Adjustments and was honored as a chair person and even President during her service. She was even the only female on the board for a a time period. While on the board she was driven to represent the interest of the people of San Antonio and act and vote on what was best for the city. Laura is a huge advocate for safety and is a certified CPA (Citizen Police Academy graduate), COP (Citizens On Patrol) and VIP (Volunteer in Policing). She is a part of her neighborhood watch program and certainly “backs the blue” in support of her community and first responders across the city. 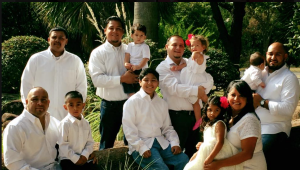 When her children were in school Laura was very active in the SAISD Parent and Teacher Association and has done a number of leadership classes in her community. Laura has a heart for serving others and loves to help people. Laura has been a REALTOR® for 23 years now. Laura joined Becker Properties in September of 2016 after she met Broker, Philip Becker through the YPN network. Laura loves the community atmosphere at BP. She looks forward to the meetings and all the hands-on training offered at Becker. Laura says she has learned a lot at BP thanks to their continuing education, collaboration mentality and amazing technology training. 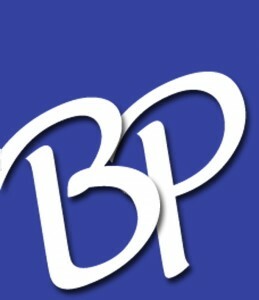 Laura is one of several Spanish speaking agents at BP and is always ready to meet with new clients. 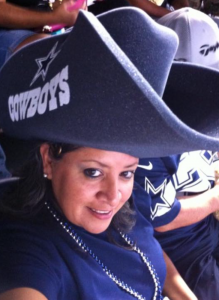 When she is not slangin real estate, Laura can be found at her church home, the San Fernando Catholic Cathedral or hanging out with family and friends and cheering on her beloved Cowboys. 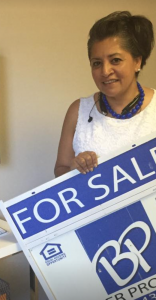 This is Becker Properties agent Laura Lizcano. 5.What’s your inner animal and why? dog – chill, and relax but also energetic and playful! The luxury real estate market at lake LBJ is prestigious, containing highly sought after properties. 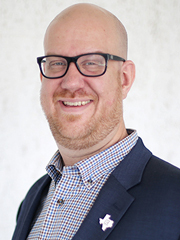 Becker agent Shane Ferguson is an LBJ local, born and raised in the Horseshoe Bay area. 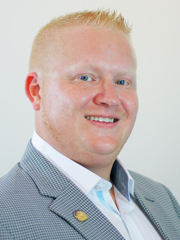 Shane recently closed on his latest sale, representing sellers in the LBJ market. Shane’s luxury listing sold significantly faster than the average days on market for the area. The property was live on MLS, under contract and closed in a total of 50 days! The property sold for cash and the negotiated value far surpassed comparable sales in the area. Becker Properties high quality, professional photography and videography, dedicated and knowledgeable agents, and advanced marketing techniques are to thank for the sale. Shane will be helping these sellers acquire their next water front dream home in the weeks to come. 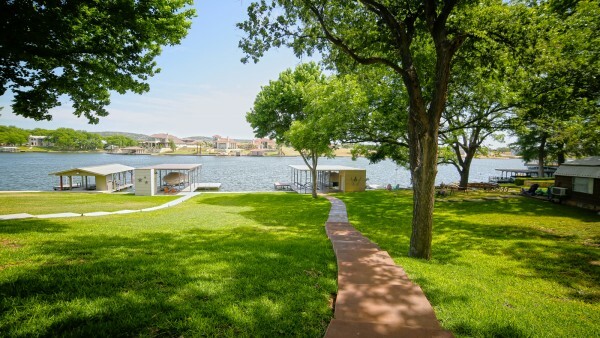 Becker anticipates to continue capturing market share, helping buyers and sellers with water front real estate at Lake LBJ, Horseshoe Bay and beyond. Floating, and not like floating on the Comal or the Guadalupe rivers is quite the experience. The floating we’re referring to here is a relaxing, sensory depravation experience that has just recently been brought to San Antonio. 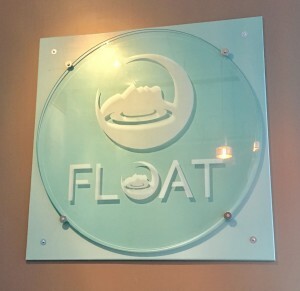 Float SA, off of Fredericksburg Road, opened in Novemeber and has been gaining more attention and followers with the services they offer. 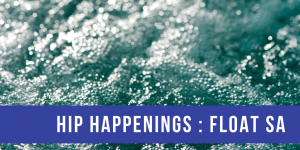 Float therapy involves a cabin or pod like large bathing pool with an extremely high concentration of epsom salt, creating a bouyancy like that of the Dead Sea, and your entire body effortlessly floats when you enter the water. Soft music and lights fade in a few minutes and with zero stimulation you come to a place of ultimate relaxation. 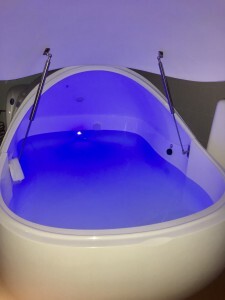 In a world where people are constantly bombarded with lights, sounds, smells and the hustle and bustle of everyday life, float therapy was refreshing and unlike anything we have ever experienced. This new age mediation, can relieve physical aliments such as neck and back pressure, and is wonderful for your skin, along with the obvious mental and spiritual benefits it offers. 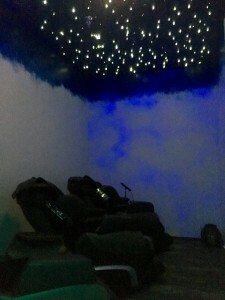 Part of your float therapy experience includes a 15 minute trip to their planetarium like massage chair room and hot tea and refreshments in the float lounge. Float SA also offers massage therapy if you wish to add that to your services. If you are interested check out the Float website below. 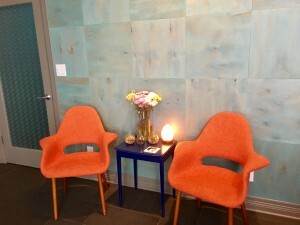 Let us know what you think about floating and keep checking back for more hip happenings in San Antonio and beyond. 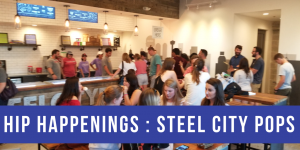 Hip Happenings: Steel City Pops GRAND opening! 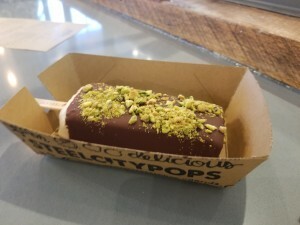 Brand new to San Antonio- Steel City Pops has officially opened it’s doors for business in the new south town location. This family owned company is quickly growing into one of the best places to stay cool and enjoy a sweet treat. 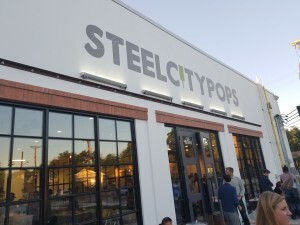 Steel City Pops has it’s roots in Homewood, Alabama. Owner, Jim Watkins, along with the help of his mother, wife, and four sons, developed several incredible recipes for all natural, organic, Mexican paletas or pops. These delicious pops are all made in house at there various store front locations and the company even uses locally harvested ingredients when possible. 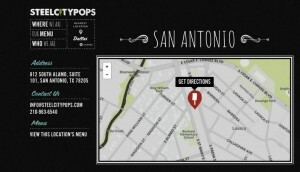 Becker Properties and the San Antonio community are thrilled to welcome Steel City Pops to our neck of the woods. 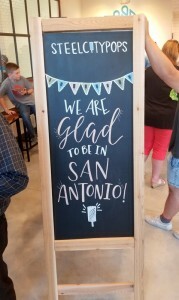 We are excited for the yummy treats to continue to expand within the San Antonio area under the direction of General Manager Benjamin Cleveland. Check out all thats going on in south town and swing by 812 South Alamo, and try a Steel City Pop today!